[toc]Farsightedness also known as Hyperopia is an disorder that affects the eye in such a way that one is unable to focus and see with clarity, objects that are at a close range, while vision of objects at a distance is normal. The probable reason would be the shortness of the eyeball, which results in the light rays to fall on a point behind the retina instead of falling on it. Far sightedness not only affects proper vision, it gives headaches, fatigue and strain to the eyes especially while watching television, writing or reading work. 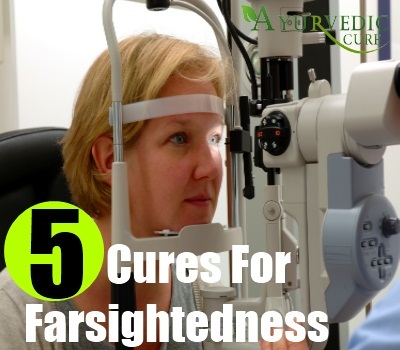 To cure far sightedness one can opt for natural cures that are result oriented and feasible. They have fewer side effects and relatively simple to practice. However one should always consult a opthalmist before performing these exercises as he is adept in handling the situations if complications arise. These natural cures are known to heal the vision and maintain clarity, a few of them are discussed below. This is one of the most practical form of natural cure that helps in curing eye disorder by stimulating the inner parts of the eyes which is not practiced regularly otherwise. Far sightedness is caused by wrong vision habits and due to improper positioning of the light rays and eyeballs. Regular practice of these exercises ensures the gradual repositioning of the internal components such as the eyeballs, etc. The duration of these exercises should be a minimum of 15 minutes and can be practiced up to half an hour. An opthalamists is the right person to guide in the case of setting the pattern of exercise as he decides it by judging the power of the myopia. 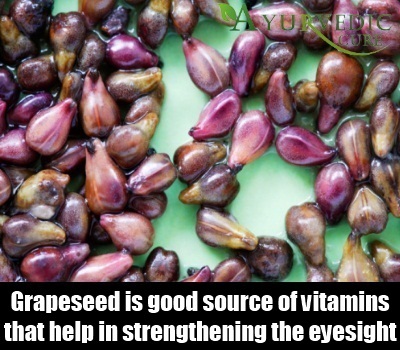 This natural cure possesses excellent antioxidant properties that are essential for destruction of free radicals that are known to cause damage to the cornea and the muscles related to it. Consumption of these grape seed extract daily ensures the protection of the cornea, retina and the muscles associated with them which enables a sharper and clearer vision of the objects that are close at hand. This natural product is available at local pharmacies and can be prepared at home also. It is also a good source of vitamins that help in strengthening the eyesight such that one is not required to take the aid of glasses or contact lens. The process of extraction is not as simple as extracting other juices, there is a procedure involved which includes removal of the seeds and crushing the pulp in specific machines. 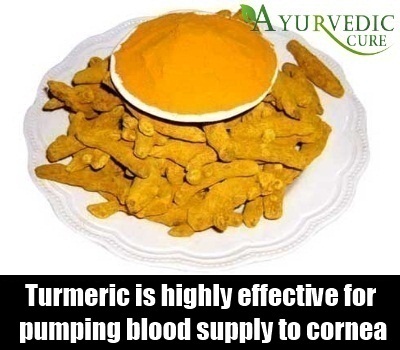 Another natural product to heal the eyes and prevent farsightedness is Turmeric. The juice of fresh turmeric is highly effective for pumping blood supply to cornea which is essential for the correction of farsightedness. It is also a strong antioxidant which is he;pful in removing the free radicals from the eyes. As it is instrumental in removing the toxins from the eyes, it aids in unclogging of the capilliaries that sometimes tend to store cholesterol. It can be dried and grounded into powder which can then be taken with a teaspoon e of honey. Diet plays a very crucial role in the curing of farsightedness as a diet full of Vitamin C and E, carotene and zinc has the ability to enrich the optical nerve and prevents the degeneration of the eye. This degeneration tends to be one of the main causes of far sightedness therefore one should consume a diet full of these nutrients. Some of the excellent sources of Vitamins and Zinc would be carrots, oysters, almonds and citrus fruits like Sweet lime, oranges and so on. These fruits enable the nerves of the eyes to become stronger when consumed in large portions in a day. 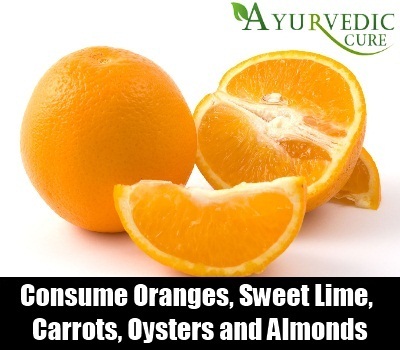 One glass of juice of these citrus fruits consumed regularly for a month helps greatly. Alomond are very effective in strengthening the eye when they are blanched and eaten. 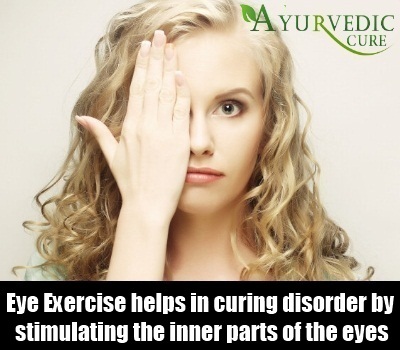 Another type of natural treatment for curing the eyes is breathing exercises which is a part of yoga therapy. These exercises are a proven in the Ayurveda to have reversed the damaging effects of the nerves that can result in hyperopia. One can perform a combination of these breathing patterns with gazing in circular motion for healing the eyes and refreshing them. The breathing pattern is known to be deep in rhythmic pattern and sometimes includes bhastrika, anulom and vilom which are actually yoga asanas. Care should be taken to perform these exercises on empty stomach as they can have side effects like nausea if performed immediately after a meal.